Welcome to Mr. Wing's Room! I have been teaching in Sedro-Wooley for the past nine years. Before teaching, I was a student in the Sedro-Woolley School District. After high school, I attended Skagit Valley College where I earned my associate of arts degree, Western Washington University where I earned a BA in Education with certificates in elementary education and special education, and City University where I earned my masters in administration with a principal certificate. I just recently took my National Board exam. 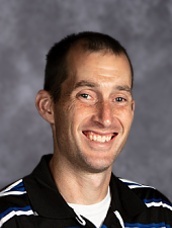 Beyond teaching, I've enjoyed coaching the following sports: cross-country, soccer, track, volleyball and basketball at the elementary, middle school and high school levels. I am actively involved in my church and have assisted with youth group, vacation bible school, and our young adults program. Classes are designed to accommodate students' individual needs in the areas of math, reading and written language. Students are screened for skill deficit areas and grouped by ability level upon entering the program. If a student qualifies for the above services, he or she will typically receive one period (55 min.) per day for each area they qualify for. Students will be mainstreamed into the following classes depending on their grade level: health, p.e., electives, science, social studies, and history.